For decades, lenders faced a relatively straightforward — if not always easy — decision when it came to leveraging technology: buy it or build it. Purchasing tools outright eliminated the need to bring on and sustain a technical team, while developing tech from scratch gave lenders the configurability they desired. Buy it or build it has worked for some but has also left lenders searching for a partner at the sweet spot of value and configurability. That’s why we’re proud to launch Blend Marketplace with two of our upcoming partners, LendingTree and Total Expert, later this year. Blend Marketplace will serve as a hub for ecosystem partners to build on Blend, generate new business, and work together to reimagine lending from end to end. For lenders, this means lower costs, greater transparency, and a more sustainable industry. The industry is at an inflection point. Lenders know a growing portion of their business happens online but don’t always have the tools and workflows that drive customer satisfaction and position them as a technology leader. With Blend Marketplace, lenders will be able to evaluate, select, and integrate point solutions that take essential elements of the homebuying process like lead generation, connectivity, and back-end loan origination, and link them together in a consistent end-to-end experience via Blend. Lenders will no longer have to choose between cookie-cutter products or waiting to build (quickly dated) custom configurations; they can choose to work with the partners that best suit their particular needs. Consumers want a single consistent experience for their lending needs. Mortgage shopping, for example, is hugely important to the homebuying process but doesn’t always fit neatly into borrowers’ digital experience. By collaborating with one of our inaugural developer partners, lenders will be able to offer a seamless experience from LendingTree into their application without any loss of relevant information. By providing a simple way for lenders to customize their experience, we’re ensuring they can reimagine lending as fast as possible. 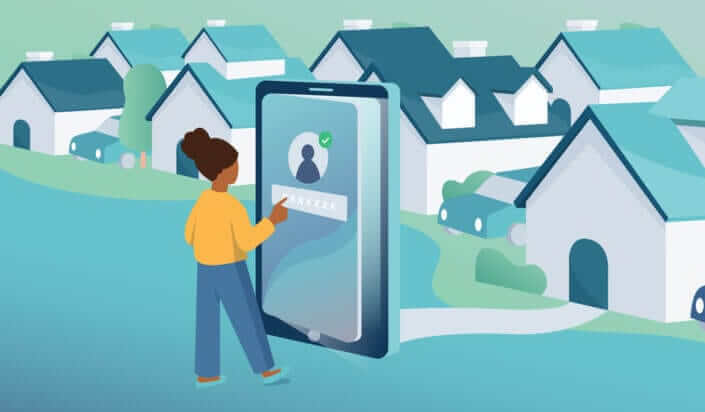 With Blend Marketplace, we’re bringing essential elements of the homebuying process into the digital experience borrowers have come to expect. As we continue expanding Marketplace and providing lenders with the best point solutions available, we’re creating a lending ecosystem that empowers borrowers with greater control over one of the most impactful purchases of their lives. For more information on joining Blend Marketplace, check out our partner page. As a Product Manager at Blend, Nivi drives lender adoption through technical integrations that enable critical business operations.